This review is of the Congress Life Insurance Company, which was founded in 1965 and bought by the Security Life Insurance Company of America in 1977. It was then purchased by Bank One in 2000. Bank One was bought by J.P. Morgan Chase in 2004. During the two acquisitions, the health insurance portion of Congress remained with Security Life Insurance Company. Security Life Insurance Company offers two kinds of health policies: short-term disability and long-term disability. The coverage varies depending on the state. Brochures for these plans can be downloaded from their website. Security Life Insurance Company offers Long-Term Disability coverage. There are two types of plans: one for companies with 10 or more employees and one for companies with less than 10 employees. Brochures are available on the website to download. Security Life sells its products through general agencies and their brokers. However, insurance companies, HMO’S, and DHMO’s also have the ability to sell Security’s products. Security Life’s website provides the ability to find a broker by inputting your zip code into the toolbox. Once the search is completed, the broker’s name, address, email, phone number, and fax number all appear. Security Life offers quotes once an established amount of information is compiled. The company asks the client to review Security Life’s checklist, download and complete an RFP form, download and complete a Census template, and send the information to [email protected] or fax to (888) 414-1587. Security Life has an established turnaround time for quotes. For two to nine employees, the turnaround is one to two business days, but for groups of ten or more, it can take up to five business days. Rate calculators for employers with fewer than nine employees can be found on the company’s website. Security Life’s website provides additional service to its policyholders. For example, policyholders have the ability to look up providers, download forms, obtain broker support, and contact Security Life via email. Security Life careers can be viewed on the company website. Simply look under the career section for any available opportunities. Resumes can be emailed to [email protected]. Inquiries can also be sent by email to [email protected]. 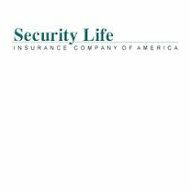 Security Life is licensed to sell insurance in all 50 states, and maintains a B++ rating by A.M. Best.